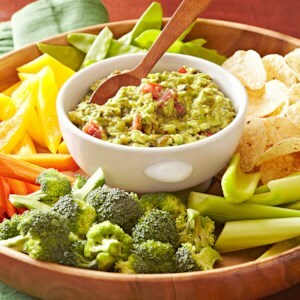 Find healthy, delicious summer dip recipes, from the food and nutrition experts at EatingWell. This take on the Argentinian classic is full of bright spring flavor and will be your new go-to dish for parties. Chimichurri is a sauce that is typically served with grilled meats. This version--made with fresh English peas, parsley and tofu--is served as a dip with either toasted baguette slices or vegetable dippers. 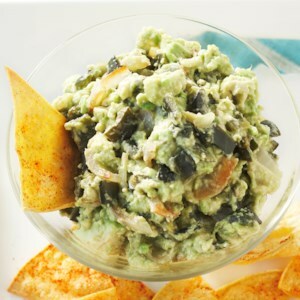 Homemade spicy tortilla chips are the perfect match for this guacamole, made with roasted poblano peppers and sweet onion. 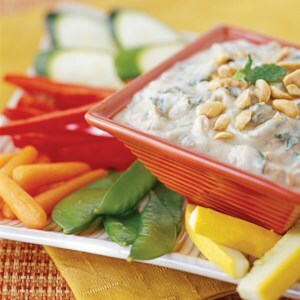 Peanut butter, mint and honey make this spinach dip different from any you've tried before. It's simple to mix together, and a good choice for your next gathering. 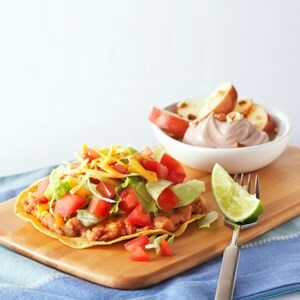 These vegetarian-friendly tostadas are quick-and-easy to prepare and a must have for your next gathering! 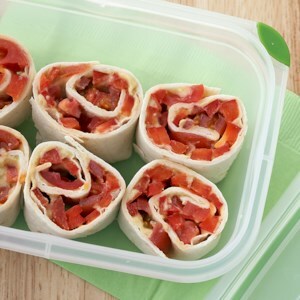 Add some veggies to your diet with these simple, flavorful roll-ups. 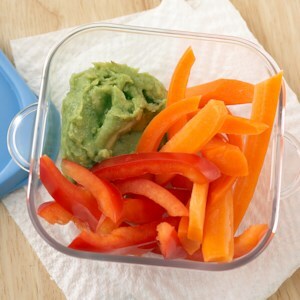 This crunchy, south-of-the-border snack covers your daily needs for vitamins A and C with carrots and sweet pepper strips. 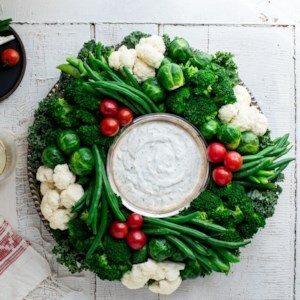 Take your veggies and dip to the next level with this colorful crudité wreath. This vegetable appetizer is a stunner with white cauliflower, red tomatoes and green broccoli, green beans, snap peas, kale and Brussels sprouts. It's also a delicious way to start your celebration with veggies (which there are rarely enough of at parties and holidays). 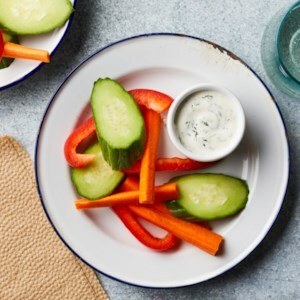 The homemade ranch dip, which uses nonfat Greek yogurt in place of sour cream, takes just a few minutes to make, or you can use a healthy store-bought dip. This Mediterranean party dip couldn't be easier. 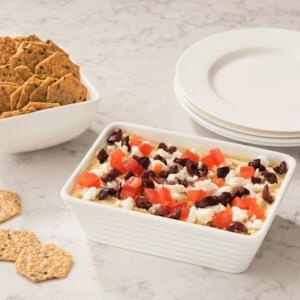 Just layer hummus, feta cheese, olives and tomatoes, then bake for a tasty snack or appetizer. 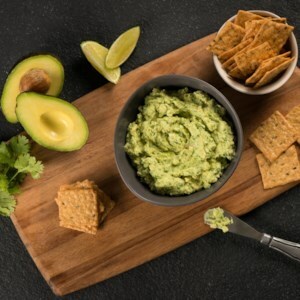 Loaded with fresh herbs, this creamy avocado dip is a healthy snack you'll crave. 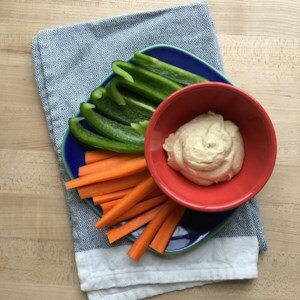 This simple snack of nutritious veggies with protein- and fiber-rich hummus will keep your hunger at bay. 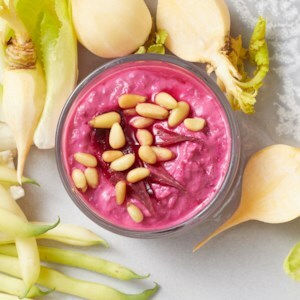 Grated beet and pomegranate juice give this tahini dip recipe a beautiful purple hue. 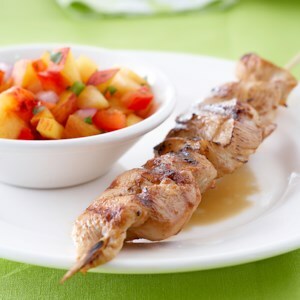 Serve it with your favorite crunchy vegetables for dipping or use it as a sauce for grilled chicken or lamb. 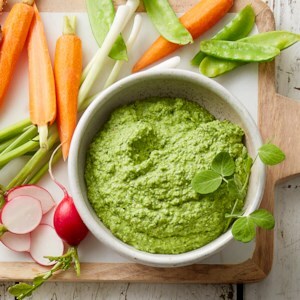 Fresh spinach and herbs blended with tahini and garlic make this tahini dip recipe perfect for crudités--or try it as a vegan alternative to regular ranch dressing. 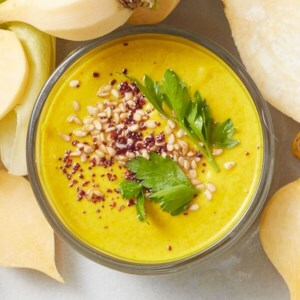 Flavored with turmeric, ginger and garlic, this tahini dip recipe is perfect for dipping vegetables or topping your next falafel. 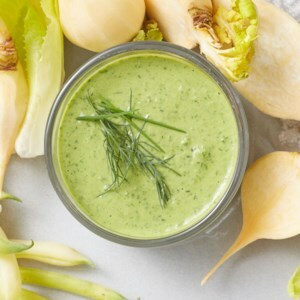 Make a big batch of homemade ranch dressing to keep on hand for dipping crisp, raw vegetables anytime for a healthy snack both kids and adults will enjoy. 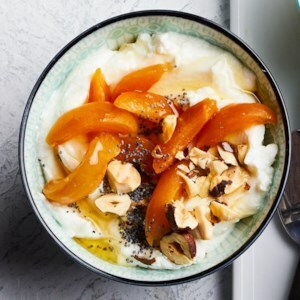 Labneh, the thick, slightly salty Middle Eastern strained yogurt, is easy to make at home with this recipe. Here, we make it a touch sweet with honey, apricots and pomegranate seeds for a delicious dip. 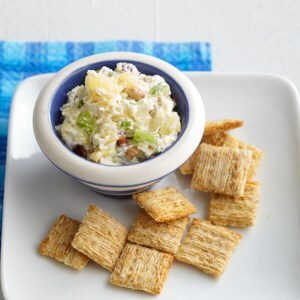 Serve with graham crackers, cinnamon-sugar pita chips or on toast. 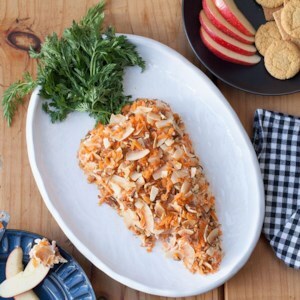 This sweet carrot-shaped cheese ball recipe is a clever take on an Easter dessert favorite: carrot cake. 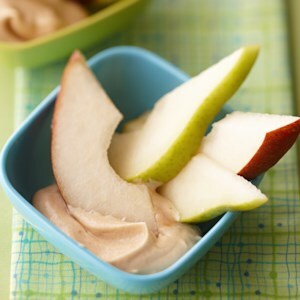 Serve with graham crackers, vanilla wafers, gingersnaps or apple slices for dipping fun that both kids and adults will love.